Finished in white. 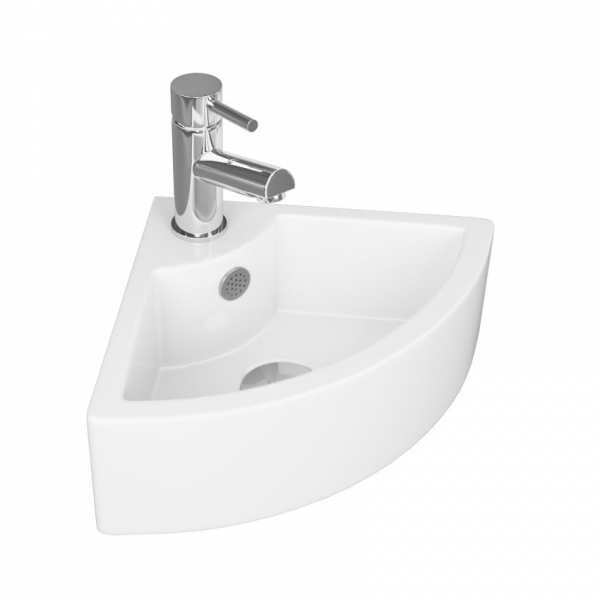 Stylish Corner Cloakroom 1 tap hole basin. 330 x 130 x 330mm (WxHxD).